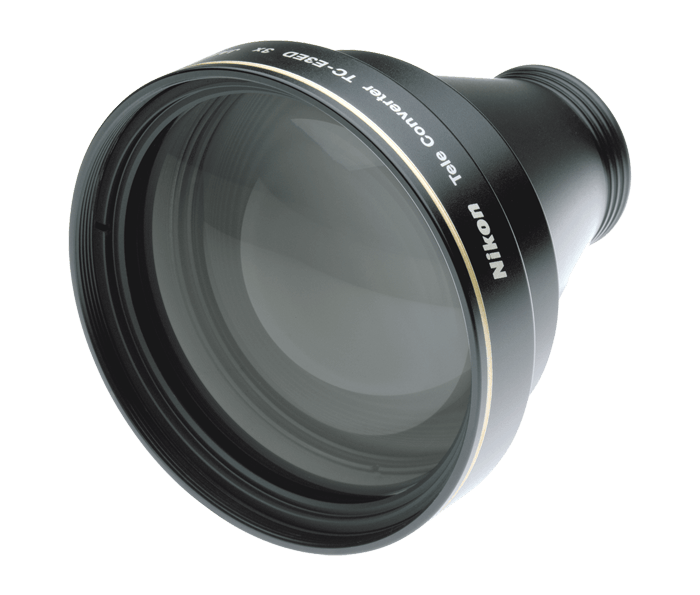 The TC-E3ED is a 3X Telephoto Converter Lens that triples the focal length of select Nikon COOLPIX digital cameras. The TC-E3ED uses Nikon's high-quality ED glass. Requires the use of an Adapter Ring to attach the Converter to the camera.